The ESL wordsearches for kids on this page are a good way for children to learn to identify vocabulary words and practice reading them. 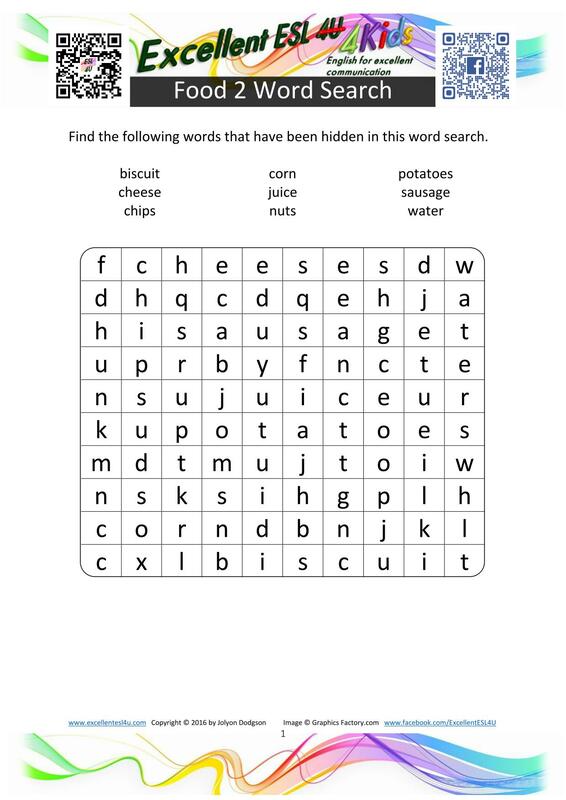 All of the wordsearches on this page are free for you to download and use with your own children. Each wordsearch focuses on a different topic, and all the words in the wordsearch are related to that topic. There are many other ESL for kids resources about each topic on the other pages of this site. New wordsearches are added regularly to this page. This is the newest wordsearch that has been added to the site (click it to download it). Scroll down the page to find the rest of the wordsearches that can be downloaded. 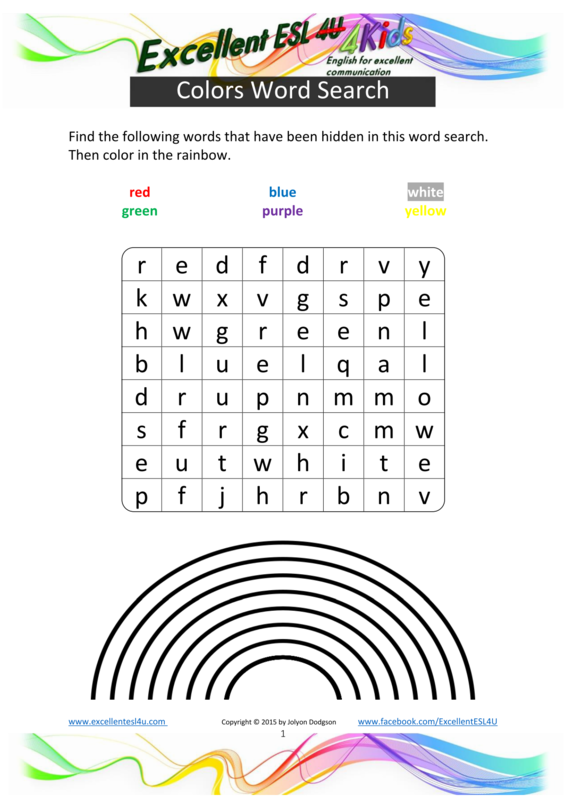 If you just need to use the wordsearches for children that is fine, but you can also use all the other material I have prepared to really help your kids learn the words that are in the wordsearches. It is best to start with the vocabulary and picture flashcards first as this will mean your kids will understand what each word means. There is also a recording of the words being spoken by a native English speaker so you can listen to the correct pronunciation. The after that you can use the games and worksheets to practice using the words and writing them. This means that your children will learn the meaning of the words, how to say the word and how to spell the word when writing. 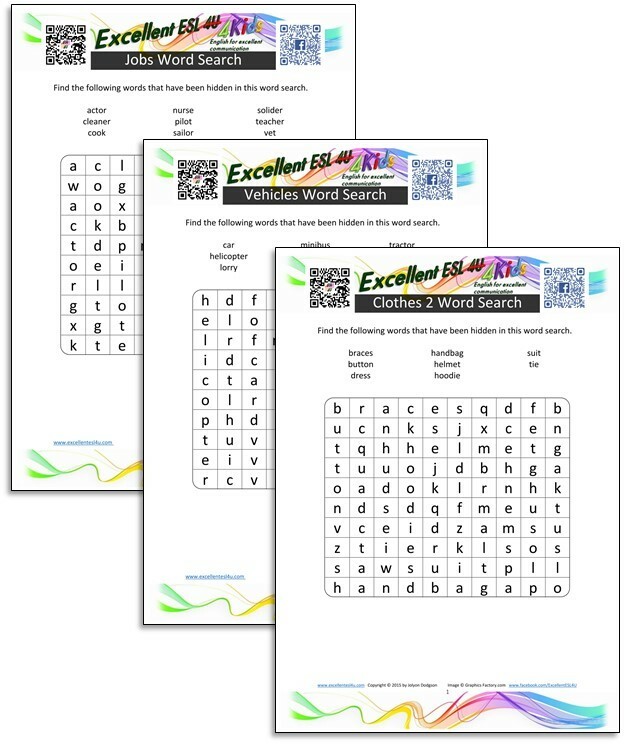 Click on the following links to go to each wordsearch so that you can download it and then print it to use at home with your own children. If you have any ideas for topics that you would like to have wordsearches for children about you can either use the contact me form or go to the Excellent ESL 4u Facebook page and let me know. I will then try to make a wordseach and other exercises about that topic area.